On September 1, Kiehl’s, a popular cosmetic company, launched a campaign with to raise money for Autism Speaks. In a video some might describe as cringe-inducing, McConaughey implores viewers to share his video because, “children with autism need our support and they need it right now… They need access to services to give them a real chance at a better life.” For each share of the video, Kiehl’s has committed to contributing $1, up to $200,000. 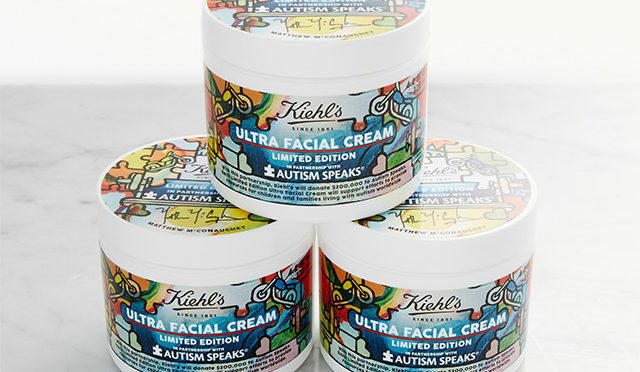 Additionally, Kiehl’s is selling “Ultra Facial Cream Limited Edition 2017,” which the Kiehl’s website describes as, “a daily face moisturizer to promote autism awareness.” The site does not elaborate how exactly a face moisturizer would promote awareness of anything. Ironically, money donated to Autism Speaks is unlikely to give autistic people a “real chance at a better life,” nor would it give anyone autistic access to services. As of 2017, only 3% of Autism Speaks’ funding goes to family services. Autistic activists have lead campaigns against businesses that partner with Autism Speaks for years, and have successfully pressured Build A Bear Workshop, Panera Bread, and most recently, Lindt, to cut ties. NOS Magazine reached out to Kiehl’s for comment on this controversy, but did not get a response to our inquiries. I have also seen Eve and her Kiehl’s work. She passed on “Is Autism Speaks a hate group” from Amy Sequenzia. Uhhh, whats wrong with Autism Speaks?